It has been revealed in an U.S. Securities and Exchange Commission filing that prominent Apple board member Al Gore recently purchased 59,000 shares of Apple stock. Normally such activity wouldn’t be particularly newsworthy but in Gore’s case, he was able to do so at a price of just $7.48 per share – netting a substantial profit in the process. 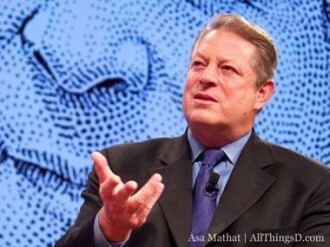 Gore was able to secure the stock at such a low price by exercising his director stock option. Despite the fact that Apple stock value has recently been on a downward path, it’s still a major haul for the board member. As of writing, Gore’s 59,000 shares are worth a cool $29.5 million – not bad considering he paid just over $440,000 for the opportunity. TNW points out that Gore was awarded 30,000 options when he joined Apple’s board in 2003. At the time, stock in Cupertino was valued at just $14.95 per share. The former vice president purchased 60,000 shares in the company at the same price back in 2008 when shares were valued at around $124 each. It’s worth noting that he still has 61,574 share options available under heavy discount following the latest transaction, ensuring he will remain extremely wealthy for the foreseeable future. Apple is expected to report first-quarter earnings later this week. The company forecast $52 billion in revenue and earnings of $11.75 per share but analysts predict those figures to be a bit higher at $54.69 billion and earnings of $13.41 per share.